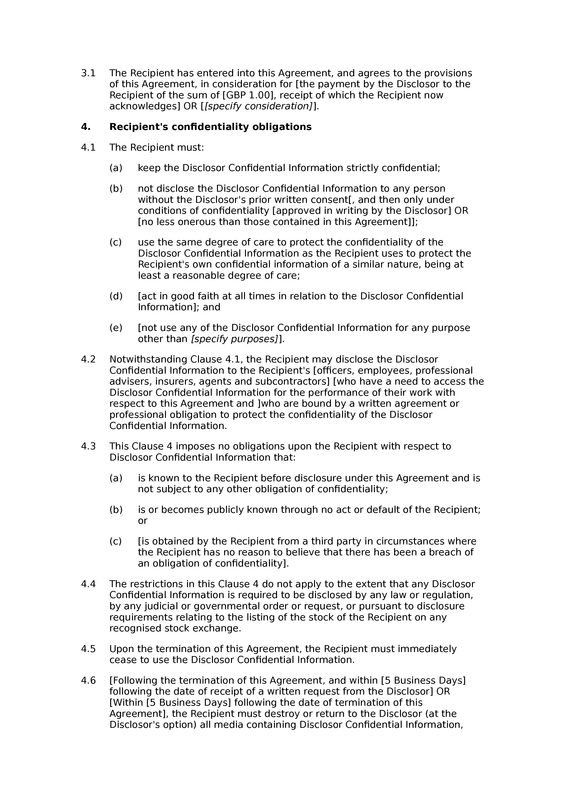 This non-disclosure agreement will help protect confidential information that one person or organisation supplies to another. 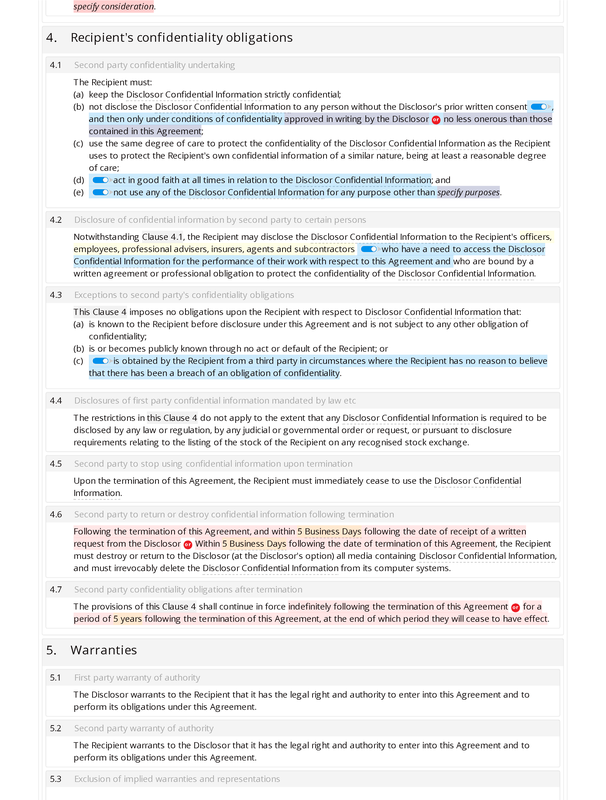 The core provisions of the agreement include a definition of confidential information, restrictions on the use and disclosure of that information, exceptions to those restrictions and rules regarding the treatment of that information upon termination of the agreement. 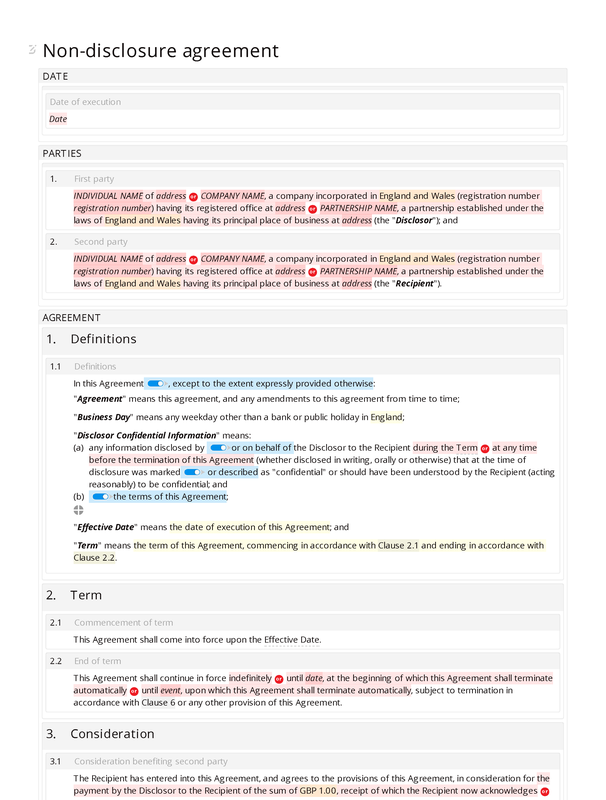 This document is standard length, omitting some of the provisions included in our premium non-disclosure agreements; and it is unilateral, inasmuch as it will protect the information of only one of the parties to the agreement. 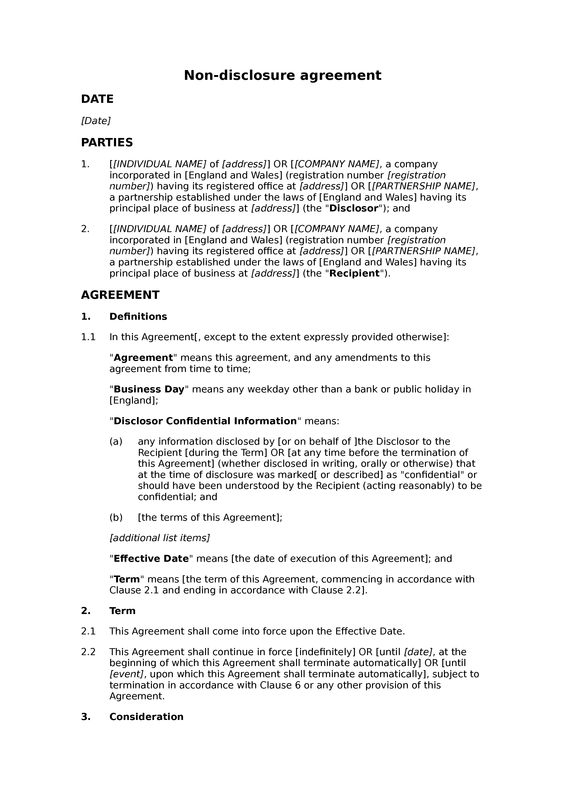 You should consider the premium version of this document if you require indemnity provisions, provisions regarding publicity, data protection provisions, IPR provisions and/or contractual notice provisions; and you should consider the mutual version of this document if you need to protect the confidential information of both parties to the agreement. Consideration: consideration benefiting second party. 's confidentiality obligations: second party confidentiality undertaking; disclosure of confidential information by second party to certain persons; exceptions to second party's confidentiality obligations; disclosures of first party confidential information mandated by law etc; second party to stop using confidential information upon termination; second party to return or destroy confidential information following termination; second party confidentiality obligations after termination.